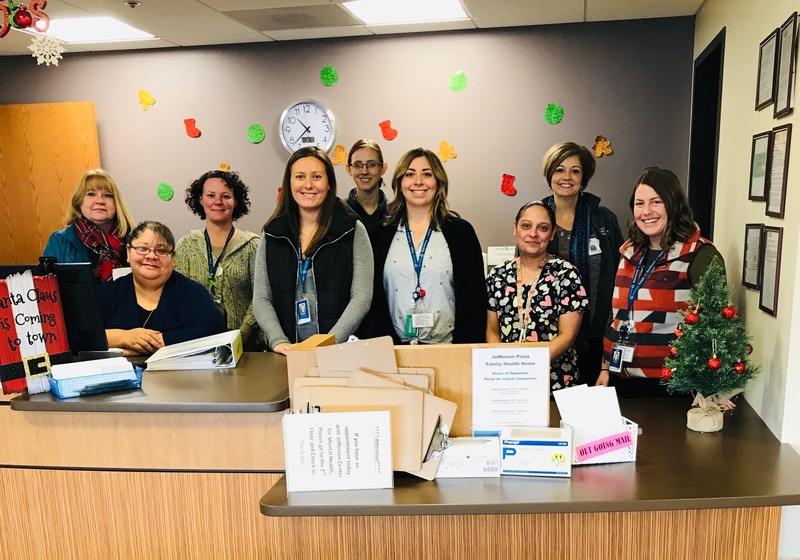 Jefferson Plaza Family Health Home (JPFHH) is an integrated practice in Lakewood, Colorado that has made significant strides in behavioral health integration through participation in the grant funded ‘Bi-directional Integration Demonstration & Practice-based Research Pilot Program’. The goal of this pilot program, administered by the Colorado Behavioral Health Council (CBHC) and funded by Colorado State Innovation Model (SIM), is to provide comprehensive behavioral and physical health care to children, adolescents, and adults. Comprehensive care not only stabilizes and manages illness, it also supports recovery for both physical and behavioral health conditions. JPFHH has successfully used their time and resources in this pilot program to deploy new processes to address mental and behavioral health issues that impact health outcomes. Utilizing evidence based research on children’s development as it correlates to caregiver depression, the team began screening caregivers for depression during pediatric visits with the PHQ-9 screening tool. Upon seeing the value and results of the screening, the team expanded their efforts to include next-of-kin caregivers, foster parents, and adoptive parents. As the JPFHH team gathered momentum in the pilot program, they began screening for Adverse Childhood Experiences (ACEs) in their population. Their work has garnered such success that they presented their findings at the ACES conference in San Francisco this year. Through the help of practice facilitation with HealthTeamWorks, JPFHH has achieved significant progress on twenty eight SIM milestones this year, and their QI team has already started discussions on their next planned innovation: Methods to risk stratify by family wellness as opposed to individual pediatric patients. The core philosophy of this highly functioning practice is the wellness of their team. They are mindful of change and compassion fatigue and engage in conversations and tactics to mitigate these stressors. Their success can be attributed not only to their approach to wellness, but also their skill in identifying and utilizing the necessary tools for change. Kudos to Jefferson Plaza Family Health Home for outstanding and innovative work! We have had a great experience in CBHC/SIM. The collaboration with CBHC/SIM has been helpful and supportive. The teams are supportive of innovative and at times, crazy ideas. They have helped leverage the needs of behavioral health in primary care at a high level, with the state and lawmakers. We still have some work to do, but we are thankful for the professional relationships that have been built through these efforts. It is creating better service for our patients, families, and our community.